An incredibly clever platformer where every death sees the world rearranged and you taking control of one of your descendants, each with their own randomly determined skills, strengths and weaknesses. Persistence comes in the form of your equipment and castle; upgraded with the money earned on each run, these confer bonuses and abilities, and are inherited by your children. The first game I know of in which you can play a colourblind barbarian with dwarfism and IBS – that’s got to be worth celebrating. Most importantly, however, is that past all the humour, the RPG elements, the procedural generation, this is at its core an incredibly tight and satisfying platformer. 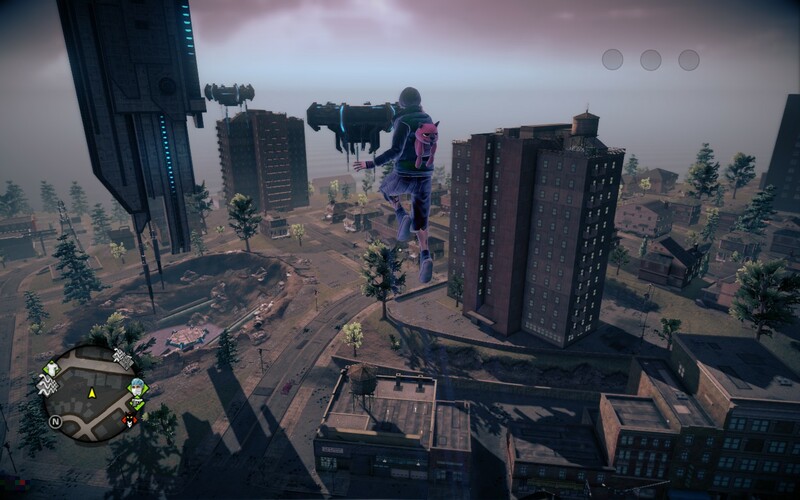 Saints Row IV starts at the level of crazy where Saints Row The Third ended, and then escalates so wildly from there that before you’re even an hour in, the entire Earth has been destroyed. Pure insanity, with a philosophy of Fun Over All Else – it’s charm and enthusiasm made me forgive its rough edges. It’s testament to the devs as well that, as the setting and gameplay spin off into madness, what grounds you is the characters. Even when total chaos surrounds them, Pierce, Shaundi, Kinzie et al feel genuine and relatable, and The Boss may be the only protagonist in video games who seems to be having just as much fun as the player. In an industry dominated by stony-faced soldiers grunting at each other, it’s a joy to see a video game cast that just act like a goofy bunch of friends. Gone Home tells a beautiful, intimate story in a setting both boldly original and totally mundane – a normal family’s house. Incredible attention to detail works both for and against it – every object tells a story, but some of the most poignant of those stories were far too easy to miss. The true backstory of the father is a much more powerful and interesting tale than the main through-line – but I would hazard a guess that barely 10% of players even put it together without outside help (if you didn’t figure it out, I urge you to Google it, for a whole new perspective on the game). 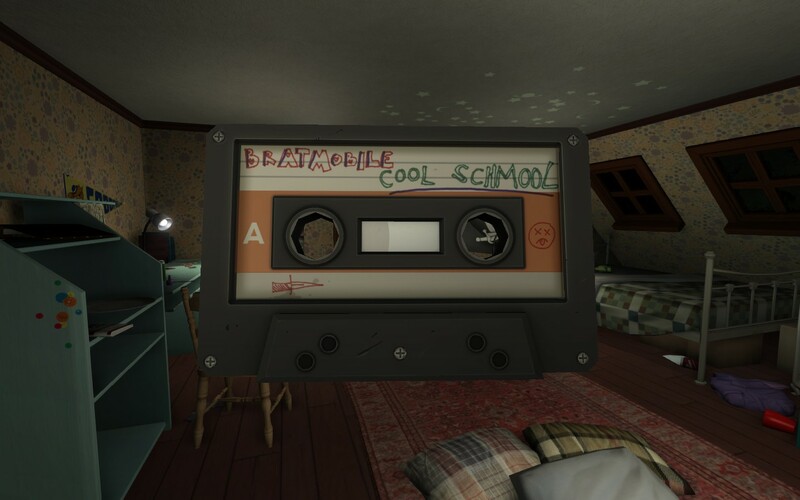 I wish Gone Home were a little cleverer – for a game so desperate to push the boundaries, it ultimately falls back on hoary old video game tropes, which undermines the sense of reality it works so hard to maintain. That said, it’s still an incredibly bold piece, and perhaps the best love story yet told in a video game. 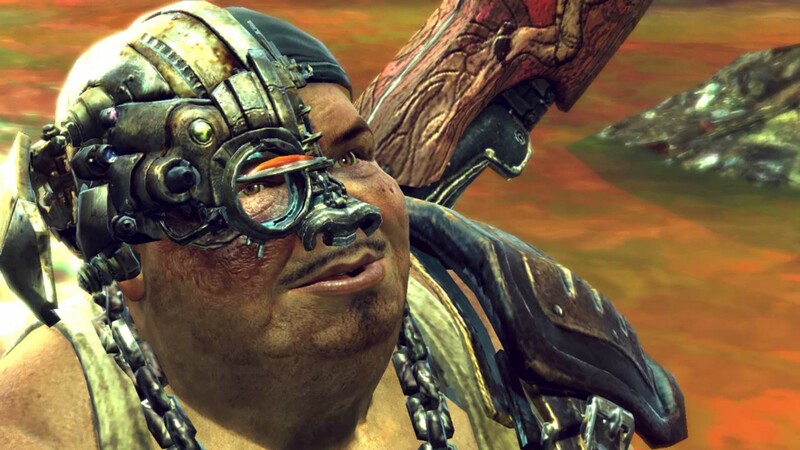 The Call of Juarez franchise started poor and has been farting out weaker and weaker games ever since. 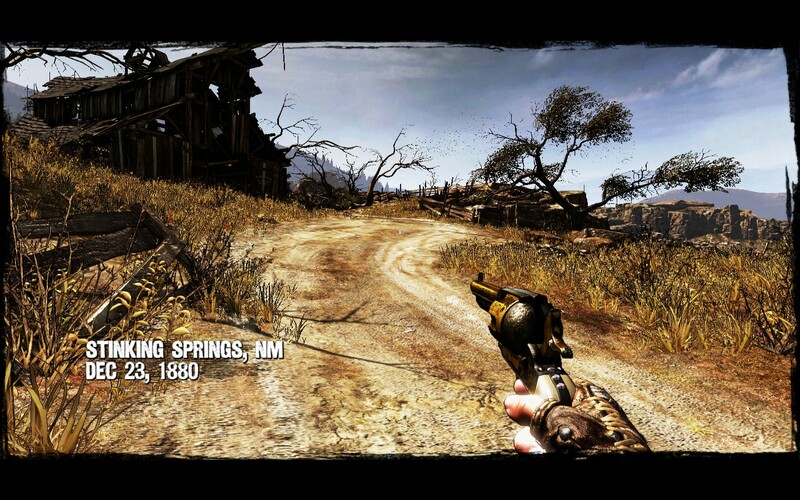 I could not have had worse expectations of Call of Juarez: Gunslinger when it came out, but positive reviews and a low price point convinced me to give it a try. I am seriously glad that I did – this is, without doubt, when of the best FPS games to come out in years. Casting aside the nonsense backstory of the franchise, Gunslinger takes the wonderful route of framing itself as the hazy recollections of an old cowboy regaling his drinking buddies with tales of his adventures. This allows it the freedom to get as fun and silly as it likes, and pull off some brilliant meta-gags about the preposterousness of violent video games. Add to that slick, arcadey shooting action, clever progression systems, and gorgeous sepia visuals, and you’ve got one of the most surprising successes of the year. So, yeah, technically this game came out ages ago, but only recently was it ported unceremoniously to PC. I loved the visuals, the action, the creativity – but most of all I was blown away by the characters. Technology, clever writing, and wonderfully passionate performances come together to create three of the most fully-realised characters I have ever seen in a game. You can read more of my thoughts on Enslaved in my review from earlier this year. I thought Assassin’s Creed was done. I think we all did. After the shamless cash-grab that was Revelations, I was truly fatigued with the series by the time Assassin’s Creed 3 came out – and then, when it received a drubbing from the critics, I just lost all desire to check it out. 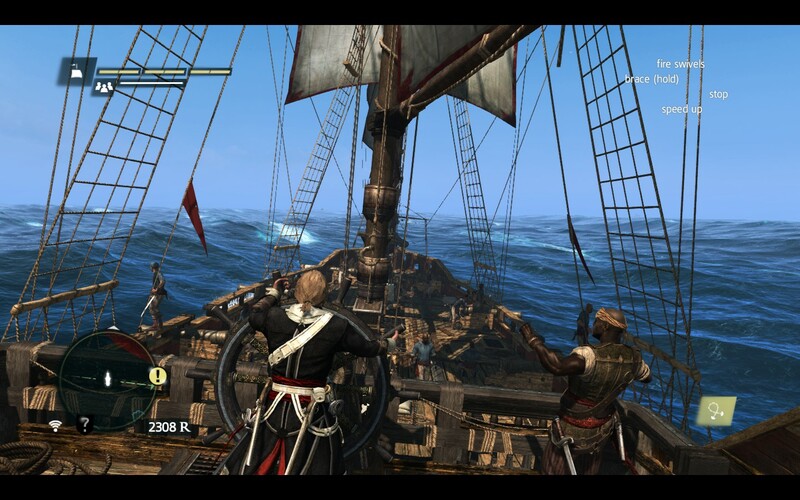 When Black Flag was announced I rolled my eyes – it was clearly a lazy spin-off of the previous game, made into a numbered sequel to try and avoid sharing in AC3‘s bad reputation. Except…it wasn’t. Against all odds, it’s one of the best in the series so far, perhaps even knocking Brotherhood off my personal top-spot. 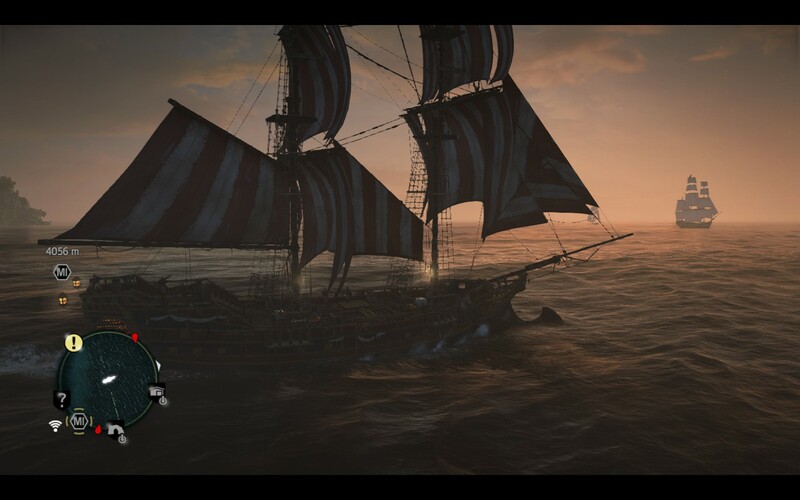 By casting aside the self-seriousness that had increasingly cloaked the series, Black Flag‘s tale of swash-buckling piracy on the high seas breathes new life into the franchise. It’s open world is a wonderful Caribbean playground, full of epic adventure and inconsequential goofiness in equal measure – one minute you’re sailing through a raging storm to confront a colossal Spanish Man O’ War, the next you’re hunting ocelots by ambushing them from the top of palm trees. Best of all, in a first for the franchise, it actually has a good story and characters, with Edward Kenway standing out as the best protagonist the games have had to date. 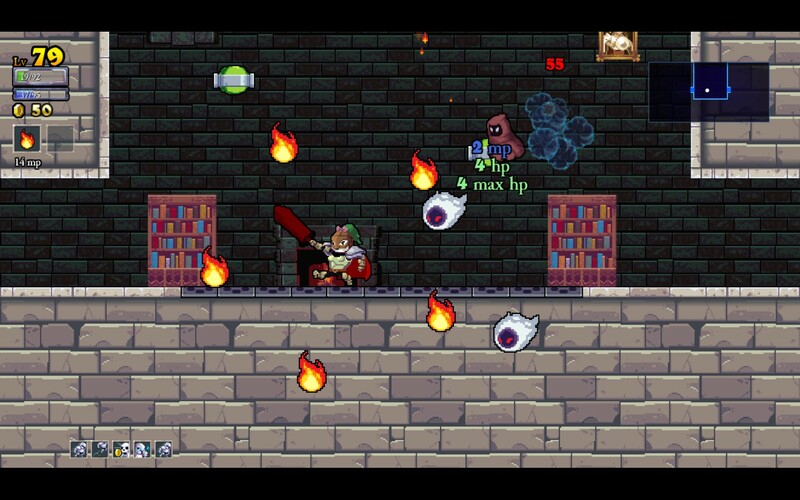 An incredibly clever game about games, with a seemingly effortless humour and charm. We gamers are a psychologically simple bunch – tell us to take the door on the left, and we’ll instinctively try to open the door on the right. The Stanley Parable crafts an entire game on that instinct, building and rebuilding itself around your defiance. It’s a game about endings, but in the moment it feels like it might go on forever. 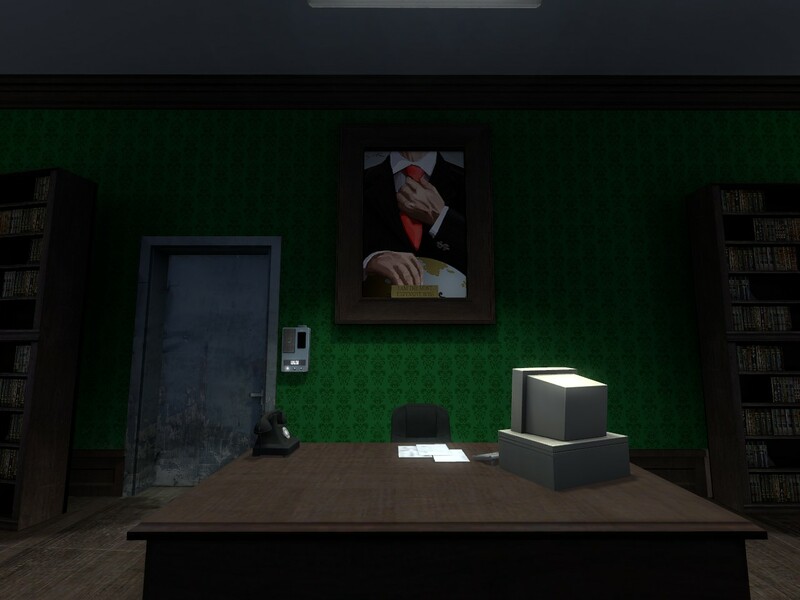 You can read more of my thoughts on The Stanley Parable in my review from earlier this year. Despite (or perhaps because of) having no connection to the franchise to date, I adored this high-octane reboot. 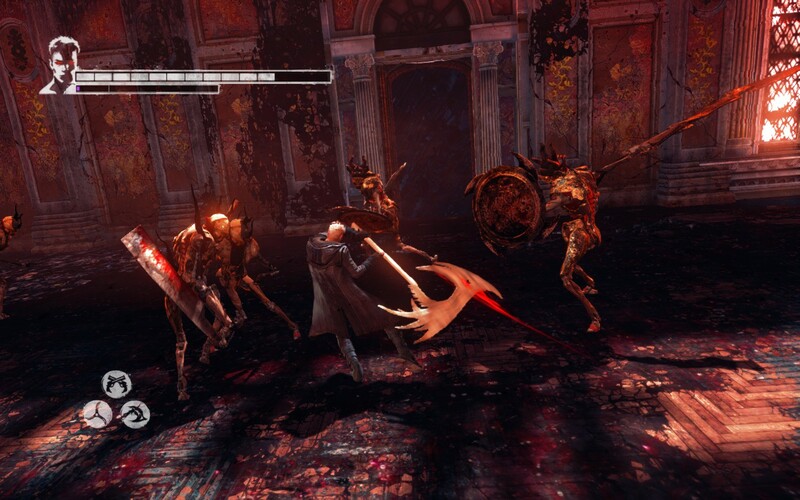 Combat is fast and complex, but presented in a way that makes it totally accessible, shrugging off the series’ prior reputation for inpenetrability. The story, a sort of demonic take on They Live, is decent enough, but the real strength of the game is the way in which it uses its setting as a platform for hugely creative level and character design. There are sequences in this game that rival Saints Row for audacity, but with a level of craft and polish that that series has never reached. A boss fight with a parody of Fox News hate-spouter Bill O’Reilly is particularly impressive, including sequences where you platform across his giant, obnoxious infographics, fight enemies while watching yourself from the perspective of a news helicopter camera (complete with reporter commentary), and ultimately make him have a heart attack live on air. It’s telling that developers Ninja Theory have twice made it on to my list. They’re rapidly becoming one of my favourite studios, and DmC may be their best work to date, combining the art design, character work and writing sensibilities of Enslaved with much more engaging and consistent gameplay and level design. I can’t wait to see their next project. 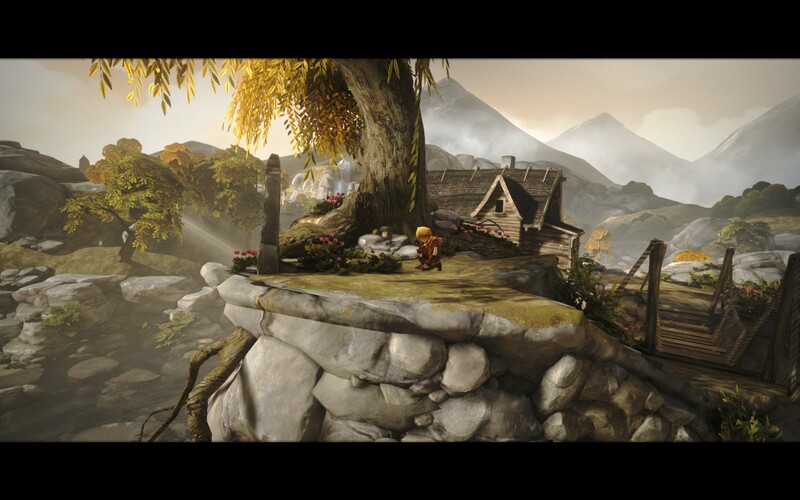 Brothers is one of the most beautiful stories yet told in a video game – a bright, charming fairytale with a dark, secret heart pumping beneath. The ending is easily the best moment in gaming this year – a gut-wrenching series of sequences that serve as a stark reminder that there are some stories that can only be told in a video game. The control scheme, tricky and awkward throughout, is totally justified in that moment, becoming a powerful extension of the themes of the narrative. Never before has the solution to a puzzle made me tear up; never before has the act of pressing a button on a controller felt like such an emotional kick in the teeth. You can read more of my thoughts on Brothers in my review from earlier this year. Opinion seems to have turned rather violently against this game in the months since its release, but for me at least the shine hasn’t diminished. The original BioShock is one of my favourite games of all time, and while Infinite is, really, a very different beast, it glows with the same passion as its predecessor. It’s visually gorgeous, and while its flying city of Columbia doesn’t feel as real and alive as the underwater world of Rapture, it certainly beats it for sheer spectacle. Its characters are vivid and wonderfully complex – especially the conflicted but violent Booker DeWitt himself. Its gameplay is fast and explosive and tense and inventive and brutal, simultaneously a thrill-ride and a dark illustration of the nature of the game’s protagonist. Its music is beyond incredible – an entire soundtrack of modern songs rearranged for a period setting, including a truly haunting version of ‘God Only Knows’ that ties so beautifully into the narrative that just listening to it again now still fills me with excitement and sadness. Its timey-wimey, wibbly-wobbly multiverse plot struggles a little with its own complicated logic, but it has at its heart one of the purest and most touching relationships of any game. 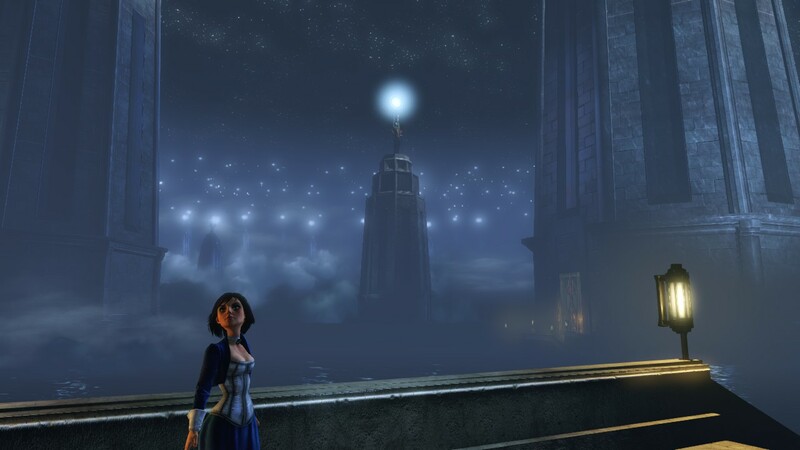 There’s always a man, there’s always a lighthouse, and the BioShock series is done. Man, what a send off. Now I wish I could play Bioshock: Infinite. This is a fantastic summary.